There’s a scene in Jerome K. Jerome’s classic Three Men in a Boat where Harris, one of the three friends, offers to show the other two around the maze at Hampton Court Palace. 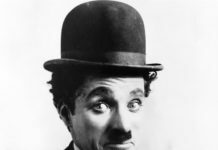 It is, he claims, so simple it seems hardly worth the two pence admission charge, but admits the only time he ever went in he lost an entire party of people – including the maze-keeper – within its hedges. We still tend to think of mazes as frothy pastimes for family days out. Maize mazes crop up in farmers’ fields, giant puzzle mazes are found in the grounds of stately homes and, of course, Hampton Court’s maze still confounds visitors. 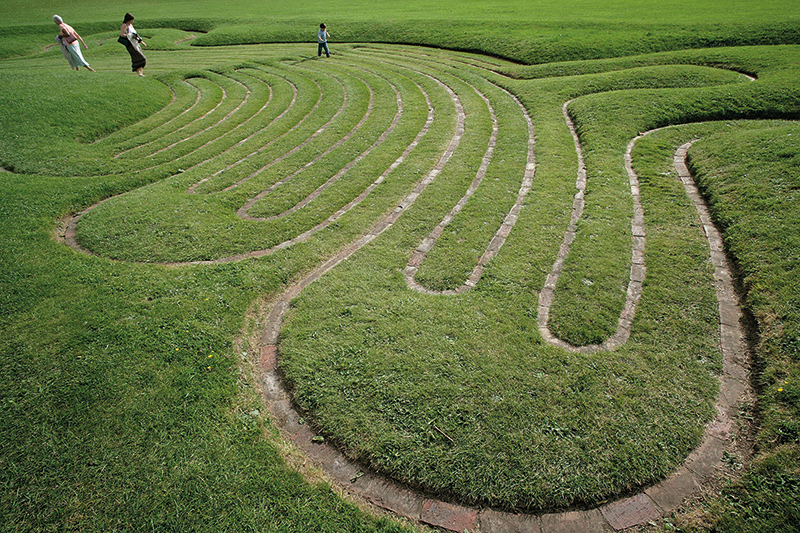 According to tradition, labyrinths are ‘unicursal’, consisting of a single pathway with no dead ends or deviations. As long as you follow the path you will find the centre. Mazes are generally ‘multicursal’, with as many dead ends and paths as possible to confuse the visitor. As a further complication, the famous ‘labyrinth’ of Greek mythology, constructed by Daedalus to incarcerate the monster Minotaur, would have needed to be a multicursal maze to be effective. The forebears of mazes – labyrinths – have mystified the world since time immemorial, and their true purpose is often obscure. 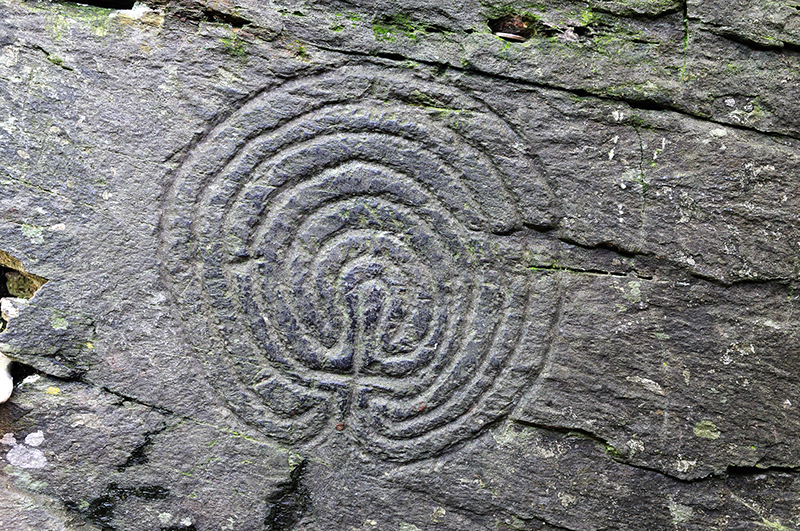 The Rocky Valley labyrinths at Tintagel in Cornwall – a pair of mysterious carved symbols – could be 4,000 years old, though some argue the tools needed to create them would make them at their oldest Celtic and even, possibly, 18th century. Ancient petroglyphs, Roman floor mosaics, early English carvings and medieval church floors all point to labyrinths having a deeper, devotional meaning. They appear over doorways, on church bells and on all manner of everyday objects – coins, stoneware, even a laundry mangle-board – as talismans against evil spirits. 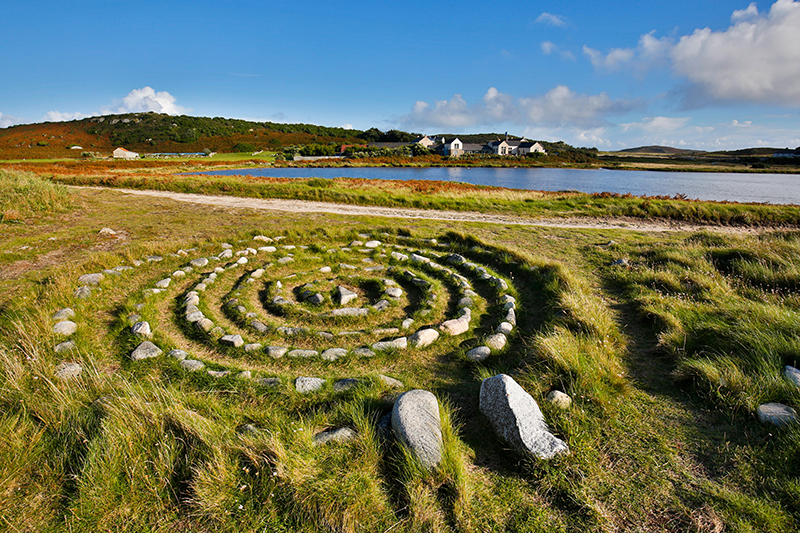 Perhaps most intriguing of all are the labyrinths we can physically enter ourselves, whether roundels of small boulders on a beach on the Scilly Isles or a turf-cut maze in a country house garden. The earliest surviving ‘walkable’ labyrinths in Britain are found in Roman mosaics, either as key-shaped borders or entire floors. There are five recorded in Britain, but they were so popular is it likely there were many more. Just eight ‘ancient’ turf mazes survive. They are known by many names, from mizmaze and mazle to Shepherd’s Ring, Maiden’s Bower, Robin Hood’s Race and, often, Troy Town or Walls of Troy, as legend holds that the walls of the ancient city of Troy were deliberately built in a confusing way. The mysterious mizmaze on Breamore Down, Hampshire, is in a yew-grove near a Bronze Age burial mound and is inaccessible by car. Its paths follow the medieval Christian pattern, matching that of the nave at Chartres Cathedral in France. Local folklore suggests the mizmaze was built by the nearby monks of St Michael’s Priory, who would crawl along it as penance or in substitute for a pilgrimage to Jerusalem. Thought to be from the 18th century, another mizmaze at St Catherine’s Hill, Winchester is the only surviving square-shaped ancient turf maze. It rises slightly to the north of the village of Chilcombe, which has traces of an ancient Iron Age fort and a chapel dating to around 1080. As local tradition has it, the maze was created by a schoolboy in detention from Winchester College, but over the centuries the story has grown so that in the same, clearly extra-long detention, he also composed the school song Dulce Domum before drowning himself in the river Itchen. 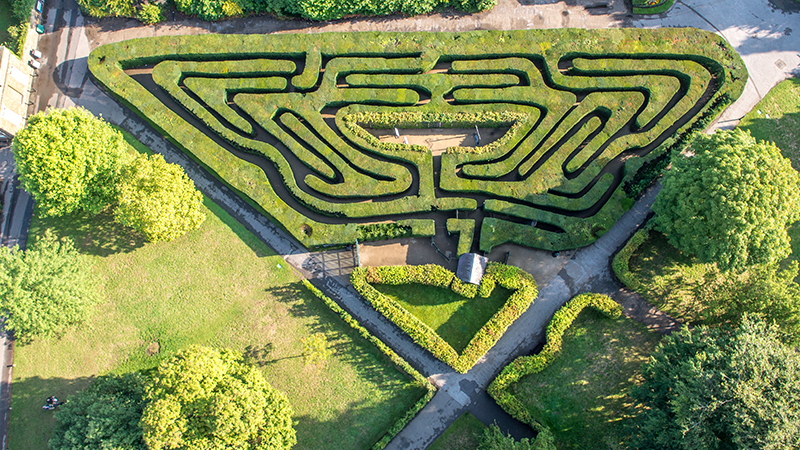 Maze fans could do worse than head to Saffron Walden in Essex, which boasts two historic examples of mazes from different eras. On the town’s grassy common lies the largest surviving ancient turf maze in the world, a whopping 46m by 33.5m, though legend suggests it is merely a copy of a much larger maze. The maze was nearly lost in 1814 when a landowner tried to enclose the common, but the intervention of local banker and maze fanatic Atkinson Francis Gibson saved it. Not everyone was as keen to take care of the maze: the ash tree that once grew at its centre burned down during a particularly rumbustious Guy Fawkes celebration in 1823. As well as being a saviour of mazes, Gibson was also the founder of the delightful Bridge End Garden, in which, around 1840, his son Francis did his father proud by building a fine yew-hedge maze. Hedge mazes had been all the rage during the Renaissance, when they were a symbol of wealth. Particularly popular in France and Italy, puzzle mazes were purely for fun – as well as a place for secret liaisons away from prying eyes. King Henry VIII had one at Nonsuch Palace in Surrey, while the reigns of Queen Elizabeth I and James I saw mazes popping up everywhere, featuring practical jokes such as dead ends and surprise water jets. Where space was at a premium the maze craze was reflected in Tudor knot gardens. Puzzle mazes fell out of fashion in the 18th century, dug up to create the sleek lines in the landscape made fashionable by Lancelot ‘Capability’ Brown, but by the 19th century the tide was turning again. 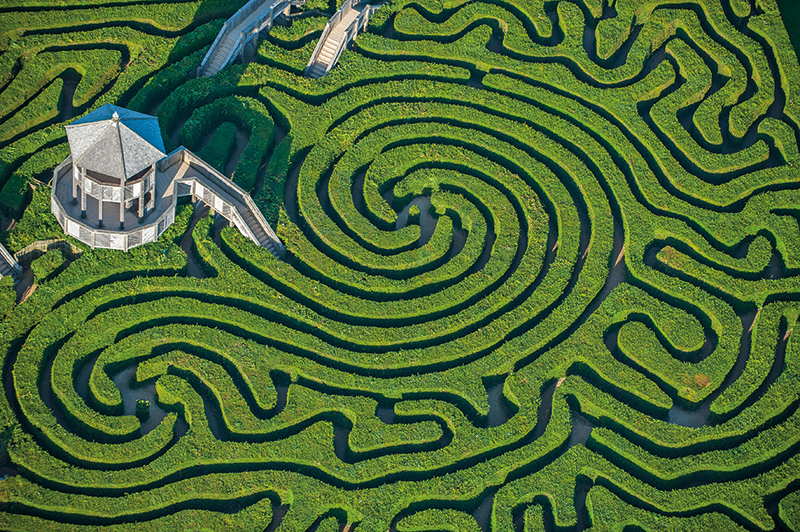 Saffron Walden’s hedge maze in Essex, constructed in the Italian Renaissance style, was originally dotted with ornaments intended to fool the visitor into wandering the wrong way. By the mid-20th century, the garden had become an overgrown wilderness – until the next maze revival in 1984, when an archaeological investigation unearthed the original paths. The maze was replanted and opened by Francis Gibson’s great-great grandson, Anthony Fry. Britain’s most iconic hedge maze, at Hampton Court, is also the world’s oldest, dating back to around 1690. Its longevity is perhaps thanks to the fact that during Capability Brown’s long tenure at the palace, he was ordered, in no uncertain terms, to leave the maze alone. Commissioned by William of Orange, the maze was planted as part of a formal garden known as ‘The Wilderness’ – not an uncultivated area as the name suggests, but a place to wander. Its unusual trapezoidal shape covers a third of an acre and feels bigger inside than it looks from outside. Sadly, a sister maze, made from espaliered trees, has since disappeared. Another of Britain’s historic mazes is to be found at Hever Castle in Kent, formerly the home of Anne Boleyn, and in Edwardian times the seat of William Waldorf Astor. The splendid yew maze in the castle grounds, planted in 1905, has hedges more than eight feet high and it supposedly marks the spot where Henry VIII courted his second wife. Hever’s modern water maze, with its surprise jets that soak visitors, revives another maze tradition: the practical joke. The classic maze follows a grid layout, but some use curved pathways to confuse visitors. 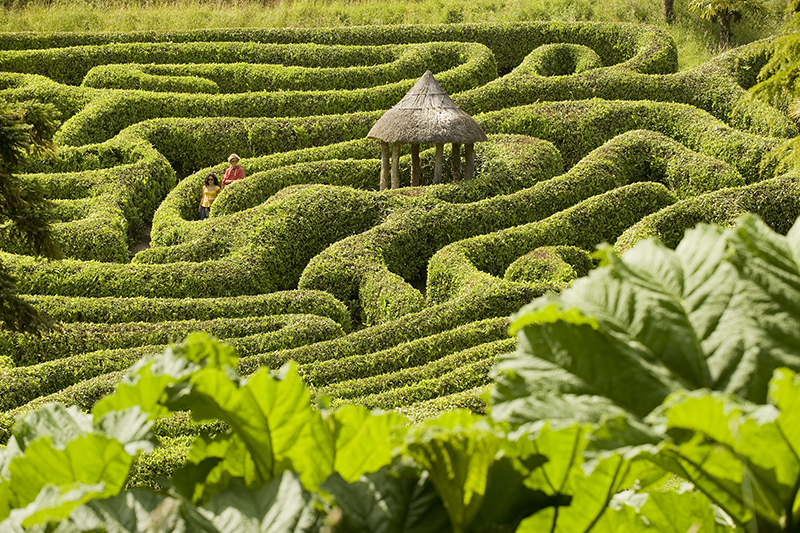 The maze at Glendurgan Garden in Cornwall, planted in 1833, is shaped like a coiled snake nestled into the valley. Unusually, the hedges are cherry laurel, with palm trees at the corners providing an exotic touch. The giant maze at Longleat in Wiltshire is also curvy rather than linear, with twisting paths designed to disorientate. What it lacks in history – it was planted in 1975 – it certainly makes up for in scale, with 16,000 yews and almost two miles of pathways. Today, our fascination in mazes shows no sign of waning, and they are a regular weapon in the garden designer’s armoury, cropping up in private gardens and public spaces alike. One of Britain’s newest was the brainchild of His Royal Highness The Prince of Wales, who, inspired by childhood memories of the maze at Sandringham, commissioned a hedge maze at Dumfries House in Ayrshire in 2016. It seems there’s no escaping the enduring appeal of a classic maze, even for a prince. You can stroll between the town’s three mazes, from the turf maze on the common to the Italian Renaissance-style hedge maze in Bridge End Garden, via the modern tiled example in the Jubilee Garden. Open year-round. This world-famous maze has entertained visitors for centuries. Can you beat the average time it takes to reach the centre: 20 minutes? Open year-round. The castle boasts two mazes set in beautiful gardens. 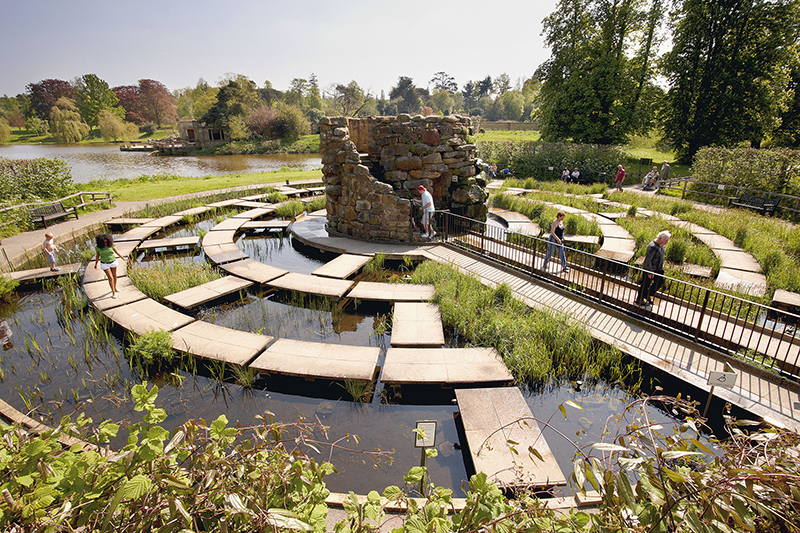 The historic yew maze has a quarter of a mile of pathways, while the water maze is a series of concentric stepping-stone circles set over water, with false steps that shoot jets of water; bring a towel. Main maze open year-round; water maze end of March to October. Set in a peaceful valley in Cornwall, this subtropical garden’s maze is built on a slope, allowing you to either tackle the maze yourself or sit opposite and watch others puzzle their way through. 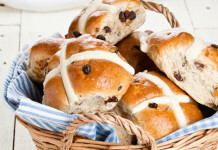 Open Tuesday to Sunday mid-February to October. It takes visitors anything up to 90 minutes to make their way to the centre of this complex maze. An observation tower at the heart of the maze marks the finish. Open year-round.